Okay, so this clever ad agency in South America outed a particularly fun gadget whose only function is to ruin photos. How can that be fun? Well, to answer the question you need to know the backstory of this Norte Photoblocker. Turns out over in Argentina a popular beer brand Cerveza Norte has teamed up with ad agency Del Campo Naazca Saatchi & Saatchi. 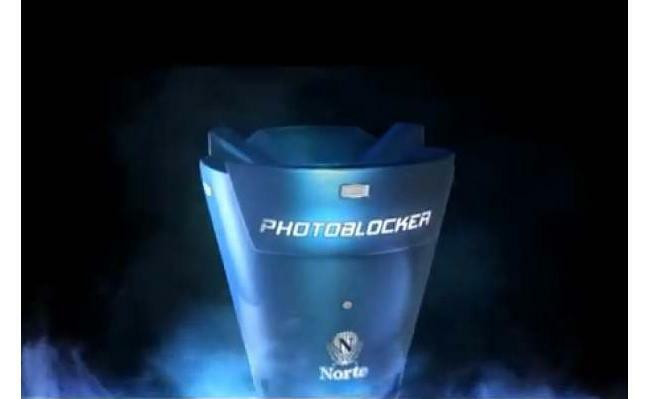 Together, they’ve launched the Norte Photoblocker ina calculated marketing campaign that’s gotten the world’s attention. What the Photoblocker does is sabotage those ubiquitous night club paparazzi antics by flashing a powerful light that destroys digicam pic resolution. This is supposed to curb the embarassment people often endure when their nocturnal antics while udner the influence are posted in social media.